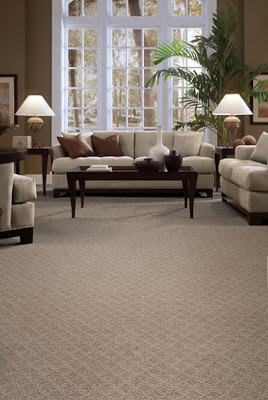 Kermans Flooring store in Indianapolis knows that a great room can be a great challenge when it comes to floor options. Should you use the same type of flooring throughout? If not, how do you transition from one flooring to another? Often a great room leads into a kitchen area so that needs to be taken into account. Other considerations typically include high ceilings and lots of natural light. That's a lot to think about when you're planning to put in new carpet, hardwood, tile or area rugs. Where's an Indianapolis homeowner to start? Start at Kermans. Our design experts can help you find the best fit for your lifestyle and your room - no matter its dimensions. Consider the use of the room. Will you be watching a lot of television or listening to music? Acoustics should play a heavy role in your floor decision and you'll want to lean towards carpet. Review our Carpet Buyer's Guide. If your great room has high ceilings, you should also consider carpet to help muffle noise. Another popular choice is hardwood with an area rug. Cork can be an excellent wood option as well with natural sound-quieting properties. Review our Hardwood Buyer's Guide. You may want to consider using two flooring types to best match the uses of the room and bring a more intimate feel to a large space. Carpet under the main sitting area with hardwood or tile leading out to the kitchen/dining area is a popular choice. Tile or hardwood throughout the room with an area rug for a visual break also brings a different feel to the room and is easy to maintain. Review our Tile Buyer's Guide. A long time Indianapolis flooring store, Kermans Flooring carries popular, high quality flooring at affordable prices. Mohawk, Mannington, Castelli and Armstrong are just a few of the leading floor manufacturers you'll find in our showroom. 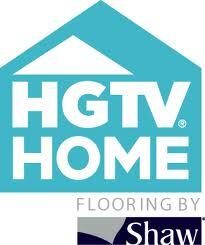 Kermans is also Indy's authorized retailer for HGTV Home Flooring by Shaw. Stop by our Indianapolis flooring store and talk to our staff about your great room - or any room in the house. We'll be happy to give you a hands-on tour and find just the right fit for your home.